I recently decided to make a recipe I had been debating trying to years. I was intimidated by it though. That was the only reason I hadn’t given it a try. I was pretty sure my family would love me for trying an easy monkey bread recipe but I though it looked too tricky. I don’t know what I was thinking! 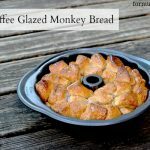 Once I started checking out some recipes, I discovered that I could make my own semi-homemade monkey bread recipe and I was hooked. I guess I thought I would have to make the “bread” part from scratch. And after all of these years, I learned the trick. Canned biscuits? Now that I can handle! So it was off to the store to pick up everything I needed to make a special weekend breakfast treat for my family. I made a few adjustments to make the recipe my own (something I like to do even though I’m mostly a semi-homemade mom). And the results were amazing! I would love to make this every weekend but I’m not sure that’s the best idea because the entire thing was gone within an hour. J and W loved it and I had more than my share as well! Shake the biscuit pieces in a mixture of sugar, cinnamon, and brown sugar. Save calories by only using as much as you need to lightly coat each piece. Layer pieces evenly around pan. Bake at 350 degrees for 30 - 40 minutes or until browned. Combine powdered sugar, vanilla, and Light Iced Coffee in a small bowl. Use just enough Light Iced Coffee to give the mixture a glaze consistency. Pour over warm monkey bread. 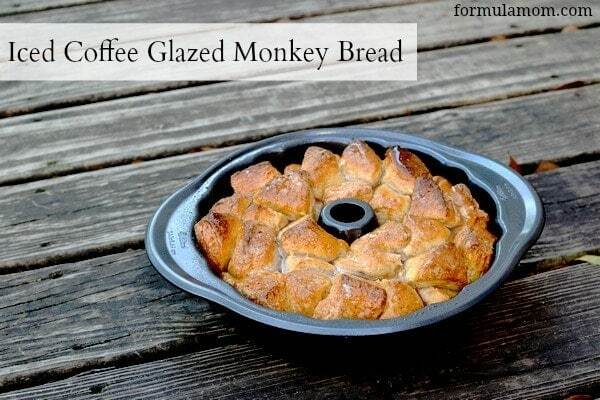 Save calories by just using enough glaze to put a thin layer over the top of the monkey bread. Serve with a glass of milk (for the kids) or a glass of Light Iced Coffee! So if you’re looking for an easy recipe for a special breakfast, definitely try this one out. If you’re not a fan of the Iced Coffee addition, you can always use milk. But you couldn’t even taste much of the coffee flavor when using the vanilla iced coffee. Instead it just added a wonderful richness to the glaze. Do you have a recipe that you were always afraid of until you actually tried it?